Every now and then I just have to shout from the rooftops about an awesome Taste of Home Recipe! I am so excited to share this one, because it was definitely one of the biggest surprises in awhile. Have you ever read a recipe and thought, hmmmm...this sounds too simple....how is this really even a recipe? I recently came across one where this was my thought process. I read the ingredients. Some chicken, a bit of spice, mayo, mustard, cheese....So what? It's just a sandwich. But, I had all the ingredients, so why not give it a shot? Oh. My. Goodness. This sandwich is not just a sandwich. It's HEAVEN ON A BUN! I'm going to be grilling these up all summer! The original recipe is called Bacon & Swiss Chicken Sandwiches, but swiss cheese certainly isn't my fave, so I switched it up to cheddar. I've copied and pasted the original recipe below, and noted my changes in blue italics. -In a small bowl, mix mayonnaise, mustard and honey. Pound chicken with a meat mallet to 1/2-in. thickness. Sprinkle chicken with steak seasoning. Grill chicken, covered, over medium heat or broil (I grilled) 4 in. from heat 4-6 minutes on each side or until a thermometer reads 165°. Top with cheese during the last 1 minute of cooking. 2. Grill buns over medium heat, cut side down, for 30-60 seconds or until toasted. 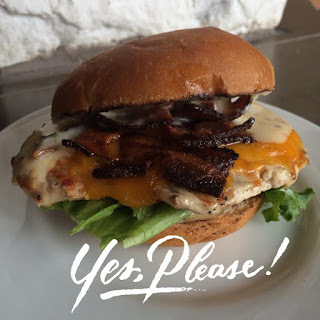 Serve chicken on buns with bacon, mayonnaise mixture and, if desired, lettuce and tomato. Yield: 4 servings. See? So easy sounding. These are nothing short of amazing, yet the ingredients are so simple! 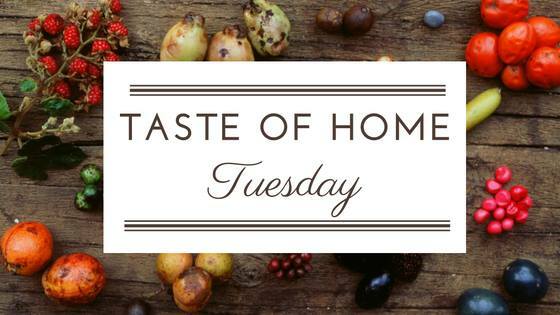 Enjoy, and check out some of the other recipes shared, below! Isn't it great when you're pleasantly surprised! These look and sound delicious!